The greatest secret to roulette is actually that there are no secrets at all. After all, roulette is nothing but a game of luck. However, there are sveral roulette strategies. Here, you will find the top 5 roulette tips in today's day and age. Although roulette is primarily a game of luck, there are still some roulette secrets that you should learn before doling out the money. Do not shell out any money for "guaranteed roulette strategies" since none of them can help you win at roulette tables and are therefore absolutely worthless. Search for European roulette wheels with a single zero since it will give you higher chances of winning compared to American roulette wheels that have zeros and double zeros. 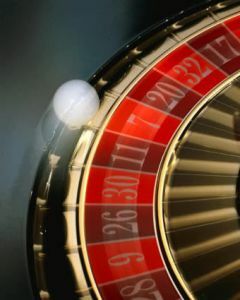 Search for European roulette tables with a single zero that provides the rules of 'La Partage', which will give you an advantage and further lower the house edge. Ensure that you have a set goal before starting to gamble. This means that if you start out with $100, stop gambling after you reach $200 or something. Not stopping will simply end in more losses since roulette has that kind of a house edge. Keep in mind that roulette is never a means of earning fast money, even if you have these roulette tips; it is merely there for entertainment. The house edge is always high when it comes to this game, so it would be highly likely for you to lose a lot of money in the long run. Try to avoid this.